We are wedding videographers based in Leeds. 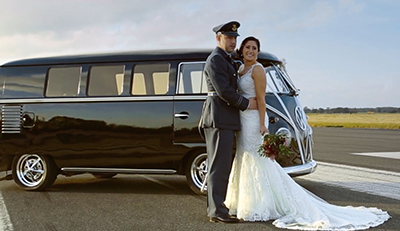 We specialise in creating cinematic wedding films for happy couples. We work around the country and and even abroad. At Mulhern Media we understand that your wedding day is probably the most important day of your life. We aim to produce elegant, modern and cinematic wedding videos. We have over 10 years of experience and attend over 40 weddings a year. We understand the classic elements of storytelling and produce a bespoke film of your wedding day. A wedding photographer captures moments that can be cherished by you forever. However, a wedding videographer will give you something extra special, as we can convey all the emotions of the day. Film captures not just those intimate moments but also picks up on feelings too. We also accompany the video with a soundtrack. The advantage of a professional wedding film is that you can watch it time and time again. Additionally, the advantage of media is that it can be duplicated and shared with your friends and family. In this way everyone can experience the wedding again. At Mulhern media not only do we have the qualifications to prove our worth, but years of experience too. We work with the industries finest video equipment and lighting. We have a wealth of video editing tools so we can create a very touching, professional and cinematic experience. On your wedding day we blend into the background during the event but you can rest assured that we are there capturing all the important details. We know about videography, but we want to know about you too. We are familiar with the formalities and structure of many different types of weddings. Though this may be your first time, our experience will shine through when you receive your wedding film. We offer a boutique service for pre and post production which highlights the things that make your day unique. We even do destination weddings too. We have just recently attended a wedding in Mallorca. You can see the finished video here. We can create your perfect wedding film, tailored to your style and preference. We film weddings in Leeds, Harrogate, York and the rest of the UK, including the Channel Islands. Emily & Billys wedding highlights are now live to watch. Friends & Family, please be sure to make sure the HD button is switched on to watch it in best quality. ENJOY! 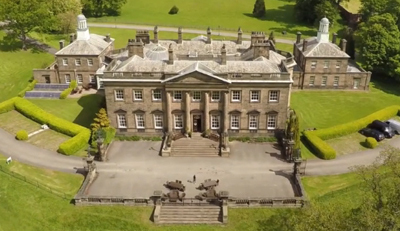 Possibly the most amazing wedding venue we have ever filmed at! A Swedish & Welsh wedding at Cap Rocat Hotel, a former military fortress located in the most secluded area of the bay of Palma de Mallorca. I lost track of the times we said wow! The view from the bridal suite is one I'll never forget. Hollie & Jacob, you were a pleasure to work with and was a joy to film your big day in such an amazing destination. It was also great to share the day with some amazing wedding suppliers based in Mallorca. Remember to click HD for best quality. Well what an epic wedding this was! Teaser Trailer for @yoyo_bobby_singh & @cksahota94 These guys know how to party!